Sweet Man Talking: Izzati... how i got motivated to start my blog "Sweet Man Talking". Izzati... how i got motivated to start my blog "Sweet Man Talking". 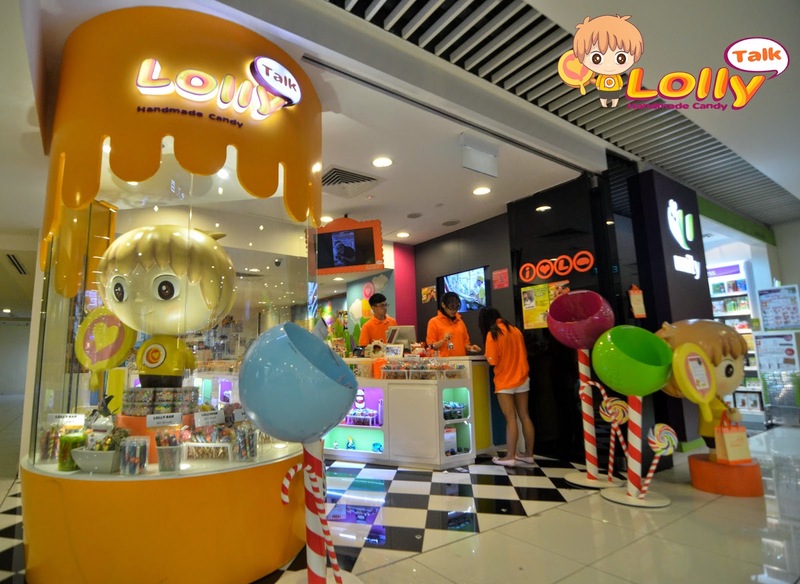 As mentioned in my previous blog, i have my own little lolly shop in a little neighbourhood known as Orchard Road. Her name is Nur Izzati Bte Kamisan. A very diligent and responsible worker who perform beyond what a girl at her age and size can do. Her attitude was always good since day one...but her productivity wasn't like that when she first started... when she came, her attention can only last three hours... yes, very precise... three hours are all we can to have her work for us. She will enter into a "zombie mode" after three hours. After we observed that, we always plan a break for her before she "zombified". But being a nasty boss... oppss... i mean being a productive boss, we tried to scratch her a little bit beyond what she can, by giving her the break only later than what she used to require, and we tried slowly increase that.... slowly she doesn't need the break at all to remain alert. (Yes, we still gave her the break she deserved, ok? So don't go M.O.M. and complain after reading this). Izzati being with us for many months and together, we survived the most busy time of the retail peak...We survived Christmas together! 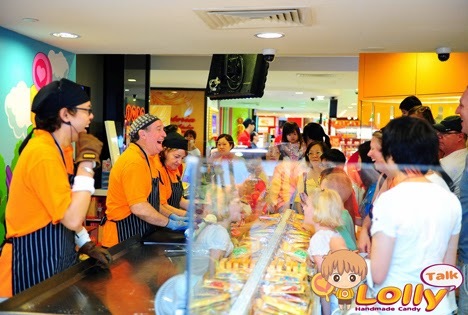 She became one of our core pillar of my little lolly shop. As all the staff that joined me since day one, I always imagined they will follow me for the rest of their life without switching job... but just when I was thinking so, she broke the news to us, she leaving us for her studies starting early this year 2014. In that few months fighting battles together side by side, we had many wonderful memories as well as heart to heart sharing. We learned a lot of things about her in the process and the reason why she decided to go back to her studies all because she was "forced" to stop due to her health issue. She always feel that it wasn't her choice to stop hence when the doctor gave her the green light to go back studies, she followed her inner desire to go back. Before she goes, we always tell her, come back to work for us anytime, be it part time or when she finishes her studies. And she always tell us she will come back soon. Occasionally she will drop by our little lolly shop, sometimes a few sms via phone... other than that, we didn't really talk much. 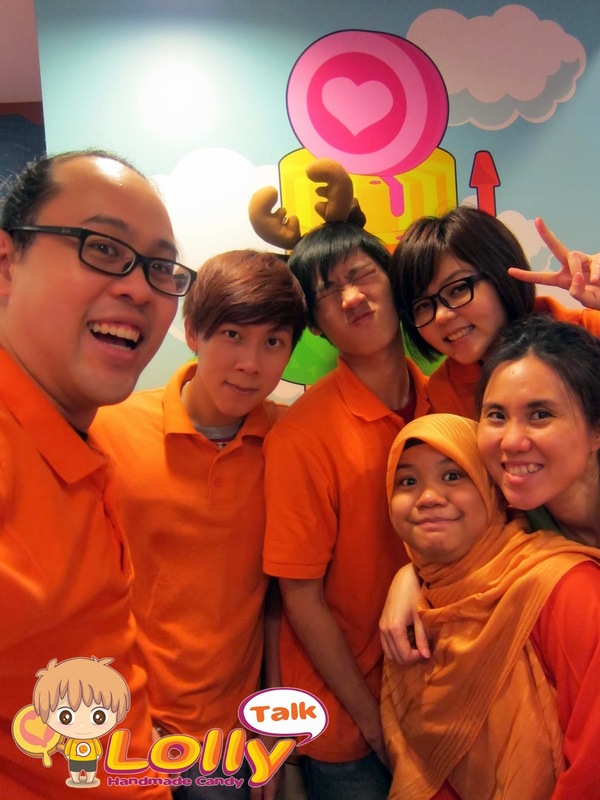 Last month, May 2013, she came back to us... telling us she wanted to work part time during her school holiday break in June. She also shared with us the exciting achievements she being having these months... she held her own private photography exhibition, she also published a book. also the Mayor of the North East District of Singapore. 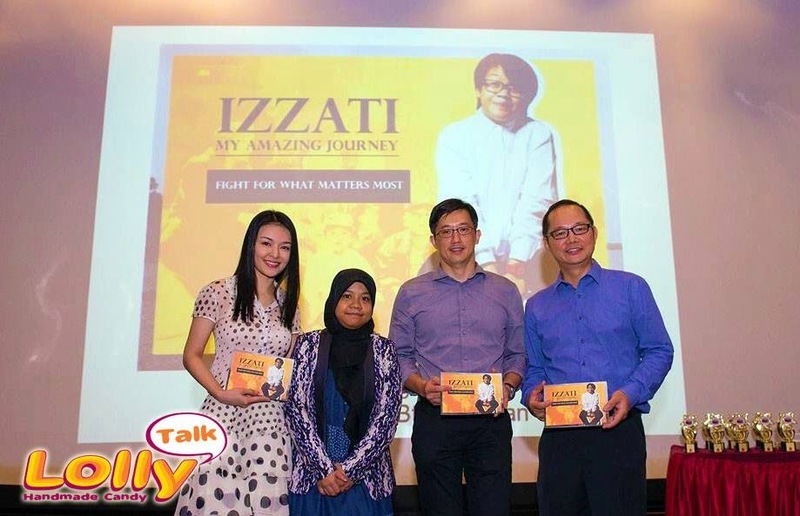 Mr. Teo Ser Luck is also the one who wrote the foreword for the book that Zati launched. We are all so excited to hear her sharing. And inside us, we are proud to say we trained up such a wonderful girl. 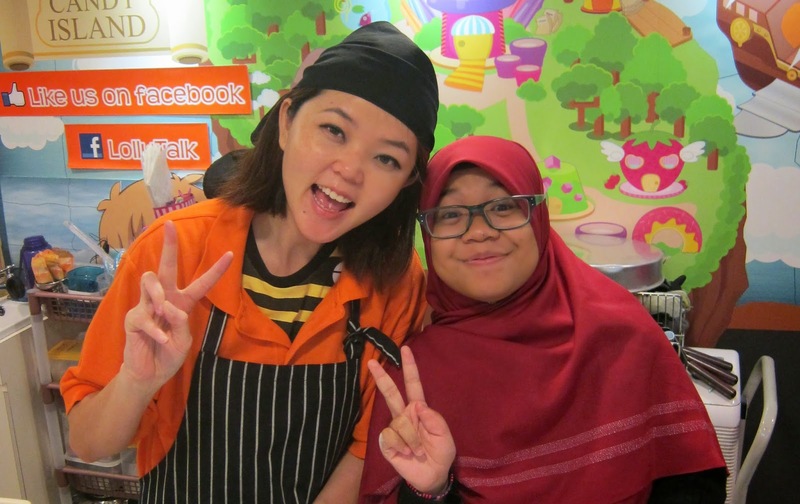 She also share with us that she will be having an interview with the Malay newspaper Berita Harian too. She gave us a copy of her book as well... from the book... we realized something she never told us all these while.... she actually suffering from terminal cancer!!! After much asking, she told us Doctor diagnosed her condition in March 2014, to be terminal cancer. Basically she left with only 2-3 months before her body will deteriorate further till she cannot function... that is according to what the Doctor says. 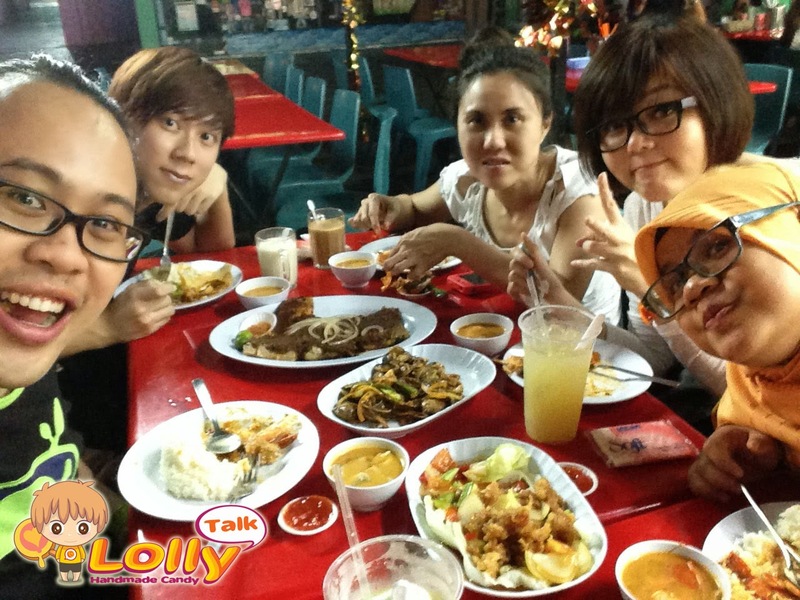 Currently while writing this blog, Izzati still working happily at LollyTalk on a part time basis, helping out as our Lolly Girl whenever her schedule allows her. Instead of waiting for the final day to arrive, she insisted to carry out her duties just like any other youth working with LollyTalk; just that she having slightly more commitments than others due to press releases, book launches, giving motivational speech, gracing events and volunteering herself in various meaningful work. I always joke with all my colleagues including Zati that whenever one day they getting married, they must have their wedding candy made by me. 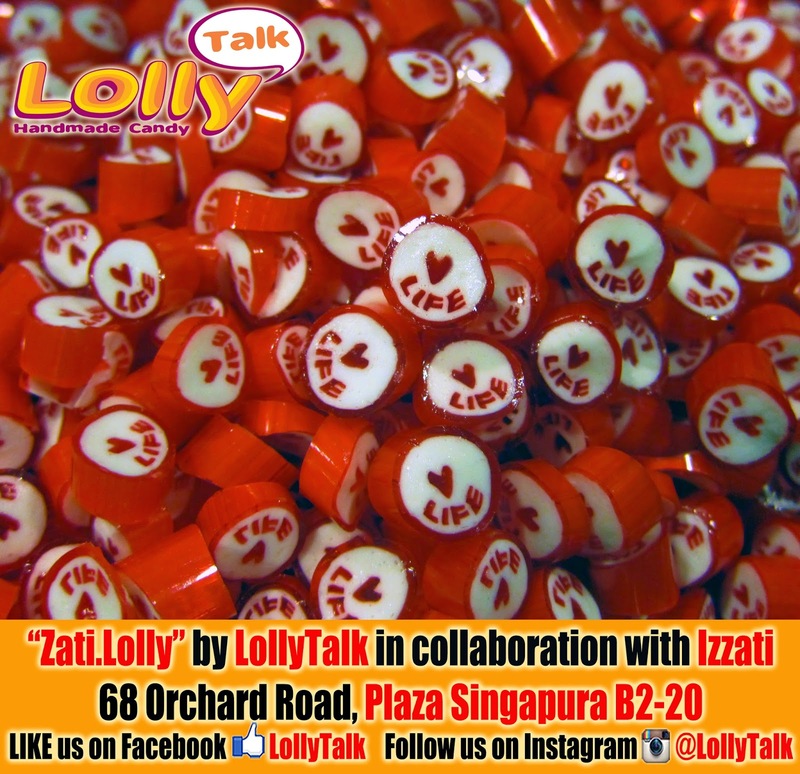 Even thou marriage is something that might not happen to Izzati anytime soon, together with Zati, we managed to toy with the idea of doing a collaboration lolly mix in her name. Basically she decided the flavour, colour, design, direction etc. You will be amazed how considerate this young little girl is when she design her lollies. She chosen peppermint as one of the flavour because her classmates love pepper mint. She chosen messages that motivates youth to be positive towards their life. When asked, what she wants to achieve out of this lolly mix... She hoping that this lolly mix encourage more youth to cherish their life and their time, dream big with big dreams and believe that they can do it! You will realized that all the details she put into the lollies are always about others around her. When asked what flavour to be used for "Love Life" lolly... she says strawberry peach... because strawberry peach is sweet... always remind us life is sweet. Yes... Opening up a lolly shop is a dream comes true to me. And now starting my blog would be another milestone for me too. Although I am not young anymore... but I am still love my life and passionate about living a beautiful life... and we all love the aura she possesses and the power that motivates us to just BELIEVE. 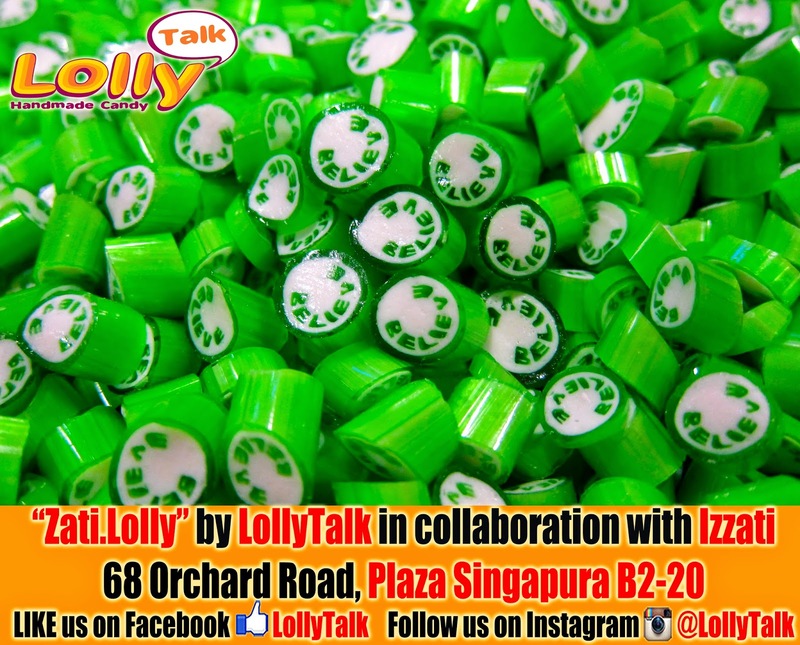 My little neighbourhood Lolly Shop... LollyTalk.